Sometimes, 50 feet of frontage just won’t do. It’s tough for me to write that, but it’s true, and the market has proven it true time and time again. If you have a certain budget, let’s say somewhere under $2MM, you will generally aspire to lakefront. This is good. This should be your goal. But lakefront under $2MM can be difficult, troublesome, remarkably underwhelming. That’s why buyers often turn to the off water market in hopes of finding something in this range, and many times, they find something reasonably nice. They find a cool house with a pool, like my sale last summer in the mid $900s on Main Street. Or they find a super fantastic house for $2.2MM without a pool and without a slip, like the one that sold in Knollwood last year. Or they find a house without a pool but with a slip, and they pay $1.35MM for it because it’s sort of nice and they like it, which was the case recently of a sale off Maytag Point. Buyers don’t always want private frontage, because they want more house or more land or more charm than lakefront on a budget can offer. Good thing for these buyers, because I just listed a new property in Loramoor. Loramoor is a fantastic association, whether on water like my vacant 110′ lakefront lot ($2.34MM, buy it and be smart), or if you’re off water in one of the association homes. But while off water has some association homes, and they are all desirable and generally worth $1MM+, they are not all created equal. 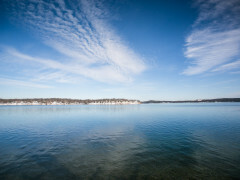 My newest listing is at W3036 South Lake Shore Drive, in Loramoor. That address should tell you something. 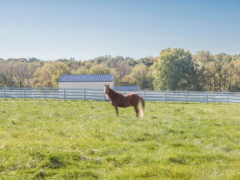 This home isn’t inside the association off the primary drive, rather it’s located directly off of South Lakeshore, with 3.3 manicured acres and a private gated entrance. This home has nothing to do with association living as we know it at the lake. 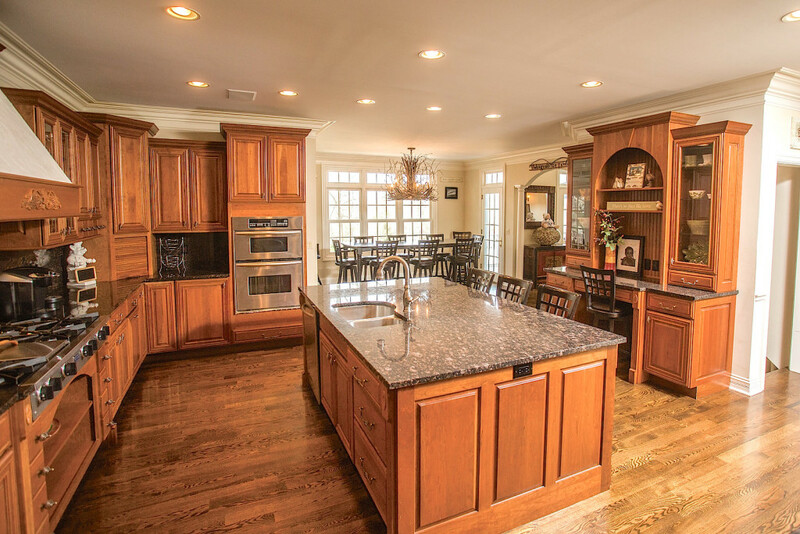 This home is an estate, with a house and grounds that qualify the lofty assignment. At $1.895MM, it can be yours. The property itself does tell much of the story. 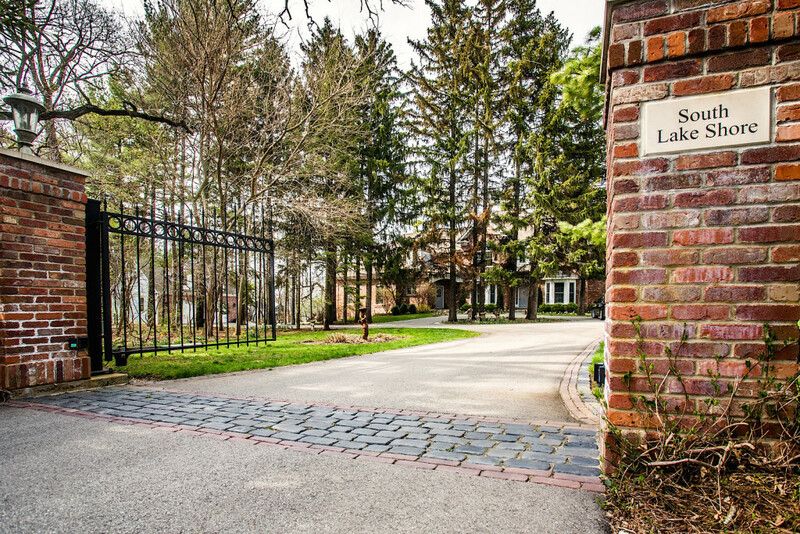 There’s the brick pillared entry with gate, the private drive, the 3.3 private acres. But there’s also a detached garage, measuring at least 3 cars worth with a finished upper level for use as an office or bunk room or studio, should you be an aspiring artist. 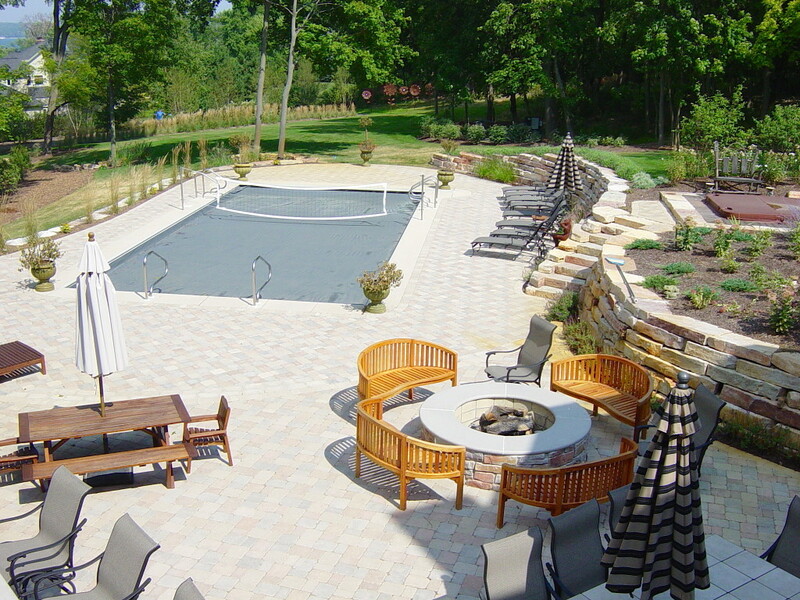 There’s an in-ground pool surrounded by an intensely large stone patio. There’s an outdoor kitchen with grill and refrigerators and enough counter space to entertain as many people as you see fit. There’s that lawn, that huge, sprawling lawn, and there’s a water fall feature that you’re not expecting. The small playhouse is finished as well as many homes that I sell, though it’s small, so it’s a playhouse, and it’s doubtful your children or your friends’ children will appreciate the wainscoting on the ceilings. The house itself is roughly 5000 finished square feet, with six bedrooms and five bathrooms and a three car attached garage. The house is formal in design, but supremely functional as a lake house for a large group of family and friends. The kitchen is appointed nicely with SubZero and granite. It opens out to a breakfast room, which opens to a screened porch, which commands a spectacular view of the pool and grounds. The upper level is loaded with bedrooms, some owning their own bathrooms. The master is on the main level, which is good in the event that your knees have been bothering you. The lower level is a game room with wet bar (for easy pool service), and of course there’s a bedroom and bath down there as well. The space walks out to that backyard where the action is. But this isn’t just a nice house on a nice lot somewhere near the lake. It’s a house that’s part of Loramoor, so I have a transferable slip here and a slight lake view from the property. If you’ve thought about lakefront here, or looked for something off water under $2MM, this is the house that you should come see. It’s unlike anything in our market, and it’s ready for immediate use. Summer is coming, and it’s coming soon. Ready or not.